The Carnivorous Plant Resource Launched! I have a quirky hobby – I cultivate carnivorous plants. I’ve grown insect-eaters for more than two decades, and still find myself fascinated by their unique biology and the mechanisms they employ to thrive in inhospitable conditions. Many carnivorous plants use movement to snag or tangle unsuspecting prey, some leverage digestive enzymes to break down soft tissues, while others form symbiotic relationships with animals, bacteria, and microorganisms to capture nutrients and minerals that are otherwise lacking in their natural soils. It’s all a huge, fascinating lesson in biology and the adaptability of organisms to their surroundings. Plus, gardening is just plain relaxing. The Savage Garden book by Peter D’Amato was my bible as a child enthralled by these plants. It was an excellent source of knowledge and a go-to reference when I had questions. But sometimes my questions went beyond what was written in those pages and I turned to the internet and online communities for more data. I would poke around a handful of online resources for carnivorous plant enthusiasts, but all lacked a certain level of… polish. The International Carnivorous Plant Society has a great amount of information, but no great means to navigate the website and hasn’t been updated in years. Other websites focus on one specific type of carnivorous plant, or are optimized more as retail stores than educational resources. Very few of any of these sites are mobile optimized for easy viewing on smaller screens. None have an extensive database of local carnivorous plant society events and meetups for engaging hands-on fun. So, I built something to solve for my needs with the hope that it will also solve the needs of other enthusiasts, curious minds, and inquisitive gardeners. It’s called the Carnivorous Plant Resource, and it launched this week as a database of carnivorous plants, a reference with growing instructions, and much like the plants themselves, an evolving curiosity that will adapt to visitor’s needs. Check it out at carnivorousplantresource.com and let me know what you think. 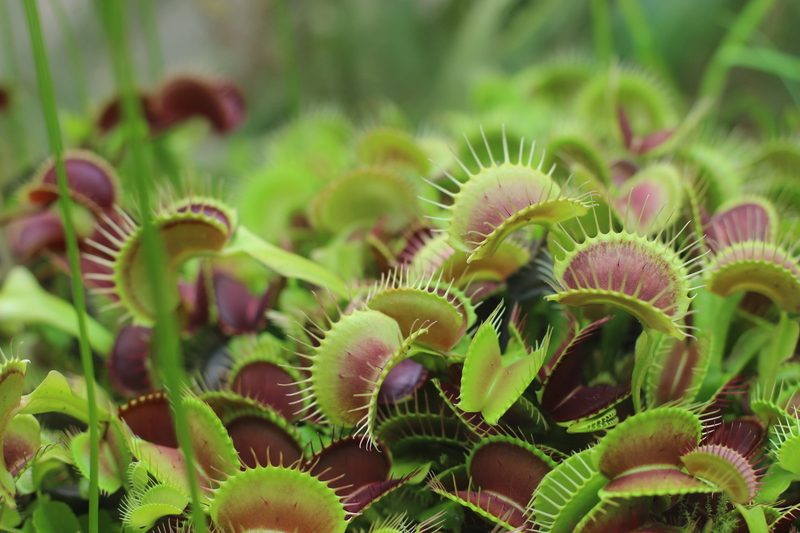 The goal is to have an expanding resource of carnivorous plant knowledge that is easy to navigate and answers all of your questions, regardless of whether you are an experienced grower or brand new to the fascinating world of Venus flytraps, Sundews, Pitcher plants, etc. Your feedback is not only welcomed, but encouraged. Please also follow Carnivorous Plant Resource on Facebook, Twitter, Instagram, and Pinterest for fun updates and more info!